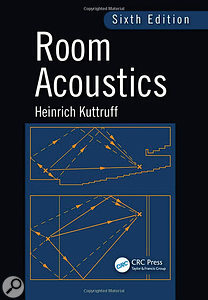 Heinrich Kuttruff, the author of Room Acoustics — which was first published in 1973 and is now in its sixth edition (2017) — is Emeritus Professor, and former head, of the Institute of Technical Acoustics at the Aachen University in Germany. So it’s no surprise that this is an academically rigorous reference work, liberally scattered with all the relevant maths. However, don’t let that put you off; while the (broadly A-level-standard) maths provides the appropriate technical language to fully depict and comprehend the underlying physics of acoustics and wave-propagation, and all the implications thereof, the text explains these principles and their practical ramifications in a very clear way too, aided by many succinct and informative diagrams. 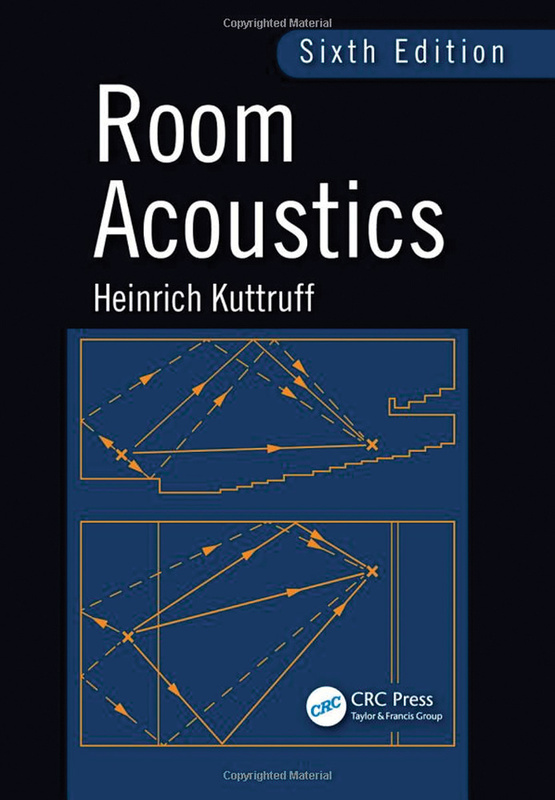 Compared with earlier editions, this latest version of Room Acoustics (published by CRC Press/Taylor & Francis Group; ISBN 978-1-4822-6043-4) has been expanded with material on spherical wave reflections, finite element analysis techniques, and virtual reality ‘auralisation’, amongst other updates. In this 300-page work, it is inevitable that the first of its 10 chapters covers the fundamentals of plane and spherical sound waves, energy density, intensity and radiation, sound pressure and power levels, and the basics of human hearing. This is followed by an exploration of sound-wave reflections and scattering, examining the absorption coefficient and wall impedance concepts, the reflective behaviour of plane and spherical waves, the significance of the size of reflective surfaces, and scattering from boundary irregularities. These basic principles lead neatly into the real-world behaviour of sound waves within a room, looking at room modes and eigen-frequencies, the effect of non-rigid boundaries, and an introduction to reverberation. Chapter Four delves deeper with geometrical analyses including the temporal and directional distribution of reflections and the effect of curved walls, before progressing naturally into a more detailed examination of reverberation and diffuse sound fields. Having explored the physics of sound waves in a room, Chapter Six discusses the principles, design and application of several different forms of sound-absorbing treatments, while the following chapter considers the subjective assessment of room acoustics, including speech intelligibility, reverberation and spaciousness. Given such a technically exacting book, though, subjectivity must be balanced with objective measurements, and Chapter Eight details the appropriate techniques and tools for measuring impulse responses, reverberation, directional distribution and diffuseness, and so on. The penultimate chapter pulls everything together in a practical context, discussing the design considerations and the current industry procedures employed for modelling and designing the acoustics of real physical spaces, such as concert and multi-purpose halls. In an unexpected twist, the book closes with a chapter on the use of electro-acoustic systems, such as PA speakers and artificial reverberation enhancement techniques, discussing topics including the appropriate power and placement of PA systems, and the control of acoustical feedback. This book is clearly aimed at degree-level students studying the theory and practice of acoustics, and I can wholeheartedly recommend it as a reference work in that role. However, although it probably won’t appeal to the project-studio owner seeking straightforward advice on DIY acoustic treatments, for anyone seeking a thorough tutorial on the subject it provides a very solid and accurate guide to the underlying physics and the appropriate design considerations surrounding professional acoustic design. I learned much from reading this book, and it has become a welcome addition to my reference library.